During and after what became known as ‘the cartoon crisis’ in the early months of 2006, many observers noted how the crisis should be understood as an expression of a growing Islamophobic tendency in Danish society. While such an interpretation undoubtedly is correct it fails to explain how both this Islamophobic tendency and the crisis must be seen as contemporary expressions of a long-lasting estrangement in Danish society between forces respectively sympathetic and adverse to modernity. 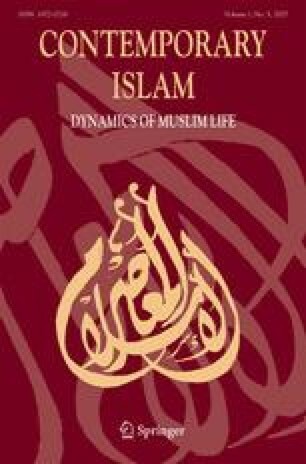 In this article it is argued that Muslims in the Danish context today have become signifiers of current modernity, in the shape of globalization. This perspective provides a clearer understanding of the dynamics of the crisis in the Danish context as it explains why publishing the cartoons made sense to many groups in Denmark who came out both for and against this act.